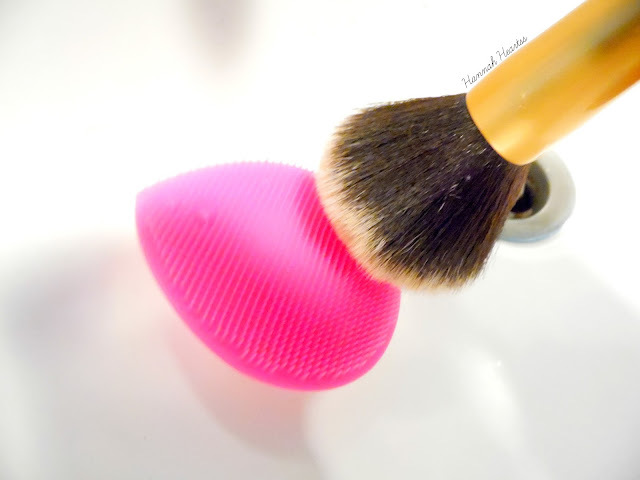 Now I know this post might be pretty self explanatory but it is all focused around one little thing that has changed the way I clean my brushes. For years I never washed my brushes as much as I should and after I read an article about how a girl borrowed one of her friends make up brushes and ended up with MRSA, it changed my whole outlook and I now clean my brushes once a week. Who wants to be using dirty brushes on their face anyway?! Normally on a Sunday it is brush cleaning day. Typically I only really use face brushes so if I notice they get dirty quickly I will give them a mid week wash. For years I have used Johnsons Baby Shampoo on my brushes, I will be completely honest I do not have the cash to be spending £££ on brush cleaner when baby shampoo does the job and works for me. I have never had an issue with using it on my brushes, it hasn't damaged them, and it leaves them smelling lovely! 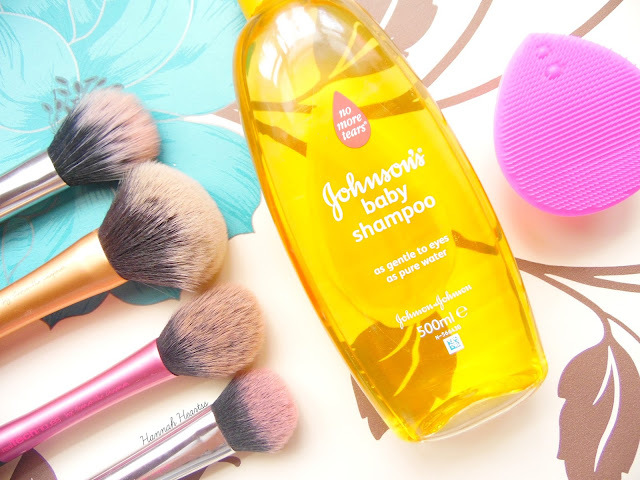 For years I just popped a bit of baby shampoo into the palm of my hands and circled the wet brushes into my hand. This honestly took me forever, it would take me about an hour to wash all of my Real Technique brushes. I had seen this little Face Exfoliator Pad from Primark for £1.50 and while I have no intention of ever using it on my face I thought it would be great for cleaning my brushes. And it is! I pop the little pad onto my hand or secure it to the sink, but a little drop of baby shampoo into it and I am good to go! By using the pad I can really get out all of the make up residue from the centre, especially with my foundation brushes which are normally the dirtiest. Since having this little pad to clean my brushes I have cut the time it takes me in half and my brushes are cleaner! I would totally recommend picking up one of these little pads to clean your brushes, it had made a massive difference and really goes get my brushes super clean. I can't believe it was only £1.50, I had been eyeing the Sigma Spa Mat but now I don't even need it.